Bears bring out the child in us and it is one of those lovable gifts you can give anyone, whether they're kids or young at hearts. Surprise your special someone with the cuddliest bears ranging from cute ones to life size ones. Look for the best deal to fit your budget by stacking voucher codes. You can find the cheapest price on these bears from The Works, House of Fraser, John Lewis, B&M, Wilko and Debenhams. You can find all-time favourite ones like Pooh, Paddington and Care Bears. Special offers include free delivery and free gift wrap. Find cheap bear toys, games, merchandise and gifts here at Latest Deals! We all have our own favorite bear characters -it can be Winnie the Pooh, Paddington Bear, Yogi Bear, Baloo, or Grizzly, Panda, and Ice Bear from We Bare Bears. There is one thing that they have in common – they are all freakin’ adorable. It is not much of a surprise why kids and adults alike are still digging the bear trend. There are even those who are obsessed with these cute creatures that they have a personal collection of bear-themed items. Here at Latest Deals, our group of bargain hunters are always on the lookout for the best money-saving offers they can find online, that includes deals on teddies and other bear items. Take advantage of the vouchers, discount codes, and coupons that they have found, verified, and shared. Get to know the best bargain techniques in purchasing your “bear necessities” from various UK retailers such as Amazon, House of Fraser, Argos, ASDA, and Tesco. Are you in search for trusted online retailers that offer good deals on bear shirts, bear mugs, teddies, and any other bear-themed items? There is no need to look any further. Here is a list of popular UK retailers that offer a wide range of bear collection that will surely satisfy you. Check out their awesome deals on bear finds and other money saving options you cannot just look away from. House of Fraser. 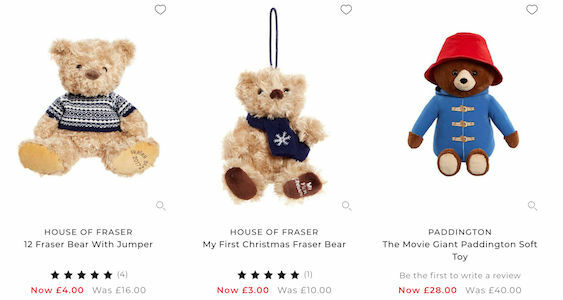 Discover the vast selection of House of Fraser’s teddies. 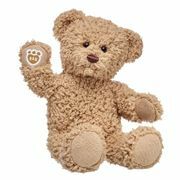 You can find gift ideas perfect for birthdays and christening at House of Fraser’s charming teddy bears range. Get to find traditional collections and contemporary options from top brands such as Hamleys and Paddington for as low as £15. Be amazed with their daily discounts that can help you save over 20% on your teddy purchase. Get to save even more if you shop with your Recognition account. We are talking about additional 10% savings or more on your House of Fraser purchase. George ASDA. Find throws, blankets, cushions, lamps, and other merchandise that have cute bear-inspired designs at George at ASDA. Rest assured that you can find fantastic quality at great value from their soft toys range. Get bigger discounts during George Sale where then offer savings up to half the original item’s price. Give into your bear obsession with the knitted bear hat offered on their website at just £2, and get to find other affordable bear finds at George at ASDA. Amazon. Shop by category at Amazon with their wide range of bear-themed items –from soft toys to beddings & linens, this Everything Store has it all for you. Take advantage of their daily price reductions that can help you get massive savings on your bear merchandise purchase from top brands such as Fred & Friends, Green Bear UK, Care Bears, Paddington Bear, and ALASKA Bear. Get to have your order delivered free if you sign up to be a member of Amazon Prime. Save up to 50% on select bear merchandise such as dressing gowns and cute tops. Argos. Check out Argos Clearance to save up to half the price on fantastic teddy deals. 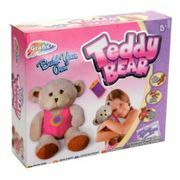 Argos also has a wide range of soft toys and teddies at the Argos toy shop. Get it delivered the same day you placed the order for just a small additional fee of £3.95. Tesco. Find bear themed items including soft toys at Tesco. They have a great range of teddies at incredibly low prices. Get to save more than half the original price of the item with their daily price reductions. If you are in search for a gift you can give to the little girl or boy in your life, you might want to consider surprising him or her with a teddy bear which can potentially be his or her friend for life. There is no need to hurt your bank account with this thoughtful present. Here is a list of quality teddies that do not go over £25. George Home Teddy Bear, ASDA. This super soft plush can be your little one’s companion. It’s super huggable and without a doubt, can be your kid’s favorite! Cute and Cuddly Little Teddy Bears x 10, Amazon. If one bear is not enough, why not get ten? This teddy bear set of 10 are made from high quality materials. They are super soft, and since they are pocket sized, you can basically take them almost anywhere without the hassle. 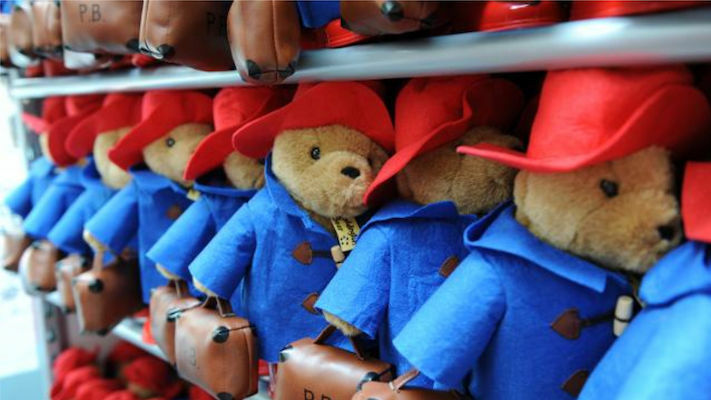 My Name is Paddington Talking Stuff Toy, House of Fraser. Get your kid his or her very own Paddington bear soft toy from the movie Paddington Bear. This adorable teddy has his signature red hat on, and when you press his tummy, you will get to hear him talk just like what he does in the movie. 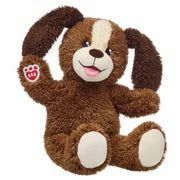 Chad Valley Fluffy Friends Bear Soft Toy, Argos. This soft plush bear that is perfect for cuddling. Even though it is 1 meter tall, it’s still light enough for your little one to carry around. Aurora 9 inch Bonnie Teddy Bear, Amazon. If you are looking for a classic teddy bear find then this Aurora 9-inch Bonnie Teddy Bear suits you. It is made with high quality materials that make it beautiful and perfect for cuddling. We all know someone who is obsessed with bear stuff. Who are we to blame them? Bears are too adorable. If you are in search for the perfect gift for any of your bear lover friends or family members, then this list of cheap bear-themed gift ideas will surely inspire you. Bear-shaped Table Lamp, George ASDA. This cute bear-shaped table lamp is a unique gift idea. This distinctive piece provides a cosy ambiance to any room that any bear lover will surely love. Fred Bear Hands Oven Mitts, Amazon. Obsessed with bears and baking? Then this Fred Bear Hands Over Mitts is the perfect gift you can ever find. It’s made from insulated cotton and features heat resistant silicone. This is a fun and functional addition to anybody’s baking journey. Papa Bear Men’s Apron, Tesco. Looking for a perfect gift for a man who loves to cook (and bears, too)? Then this Papa Bear Men’s Apron is the answer to your gift-searching quest. An ideal bear gift for him. Kate Morgan Ladies Soft and Cosy Hooded Dressing Gown, Amazon. This dressing gown will surely keep you warm and cosy. It has a cute bear design that any bear lovers cannot resist. It features two front pockets that earned this cute getup more points on functionality. An ideal bear gift for her. Bear Print Cushion, ASDA. This Bear Print Cushion from ASDA is a charming addition to any room. It has a grey border that will definitely suit all kinds of interiors.